Philip Deignan looks back on his career and all cycling has given him. But he says he nearly walked away ten years ago. 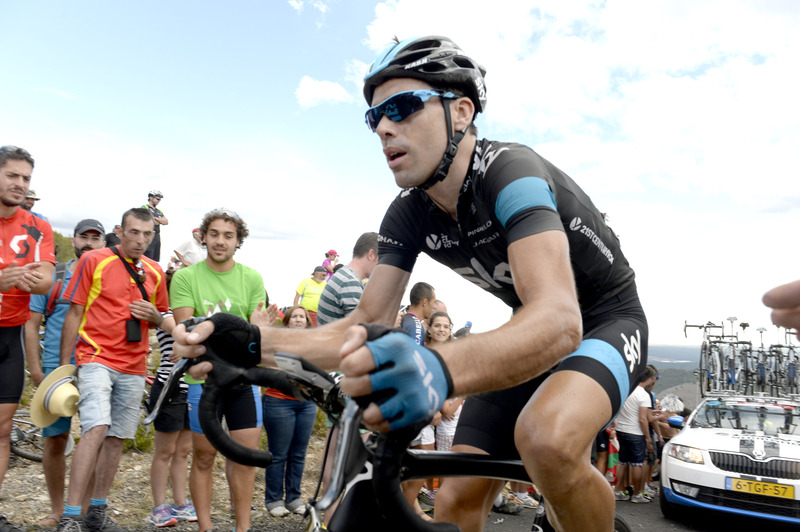 Philip Deignan has said he felt privileged to race for 15 years in the pro peloton and to be paid to do so. His years on the road had been a constant learning experience, he said. And securing a place with Team Sky, for five years, was something he would always be grateful for. This was especially so because he had considered turning his back on cycling 10 years ago after a hard season. But he would go down a level to ProContinental with UnitedHealthcare. And after two years he returned to the WorldTour with Team Sky. Deignan signed a one-year extension to his contract with the British outfit last year. And with that expiring at the end of this month he faced a choice. Would he retire from competitive cycling or look for a place on another team and continue? In the end, aged 35 years and after 14 seasons, he has decided to stop. And he has now said a combination of circumstances made up his mind for him. He became a father in recent months and his wife, Lizzie Deignan, is returning to racing. The Irishman said if both he and Lizzie were racing next year, caring for their daughter Orla would be very challenging. And so he has opted to stop now. 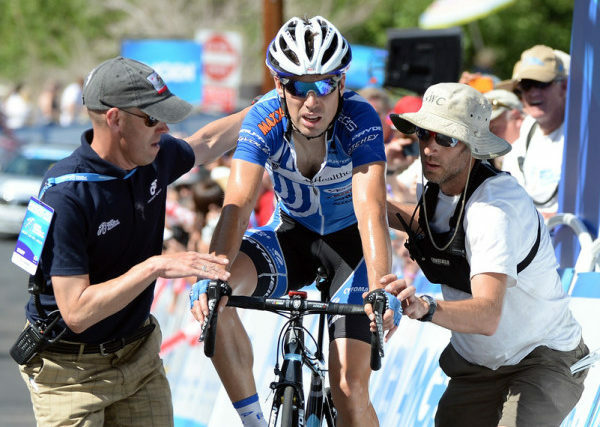 Finishing 3rd on a tough climbing stage at the Tour of California with UnitedHealthcare back in 2013. 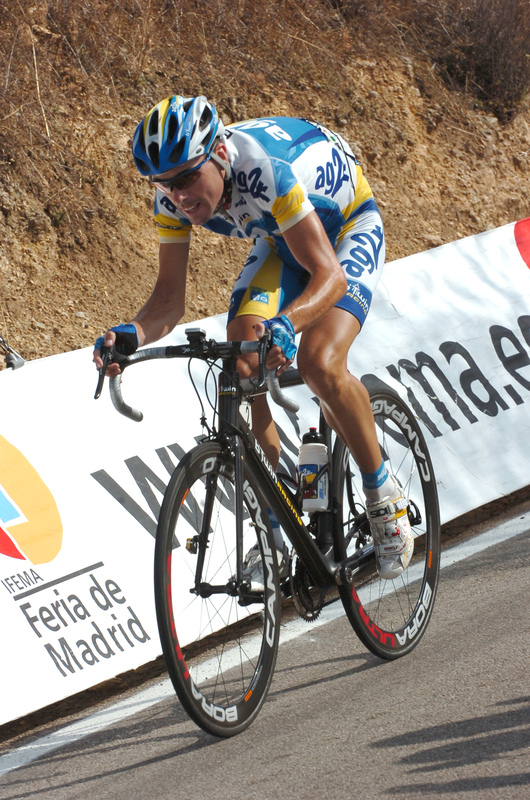 Winning the Vuelta stage 9 with Cervelo Test Team in 2009; his biggest moment as a pro rider. “Becoming a father two months ago definitely added a different perspective to things,” he said. “I had to factor that in when considering whether to continue racing next year, especially with Lizzie making a comeback now and continuing to race on for the next few years. “We had put plans in place with either scenario. But it was going to be really hard and I think we’d have had to compromise our training a bit to try and work around it. “It would have been a pretty unique situation for us to both try and continue racing. I didn’t want to continue half-heartedly. “So I’m happy to give my full support to Lizzie now to work towards some great things over the next two years – things that I would never have been able to achieve. “To race at the highest level you need to sacrifice so much and you need to be selfish in a way. “There’s plenty of fathers out there racing and it’s a fantastic thing if you can continue racing as a father. “But I think in our unique position where we’re both racing it would have been really hard with the amount of days we’d both be away. “The unpredictable nature of the race programmes is another thing I had to factor in. It would have been really hard but we would never have compromised Orla. 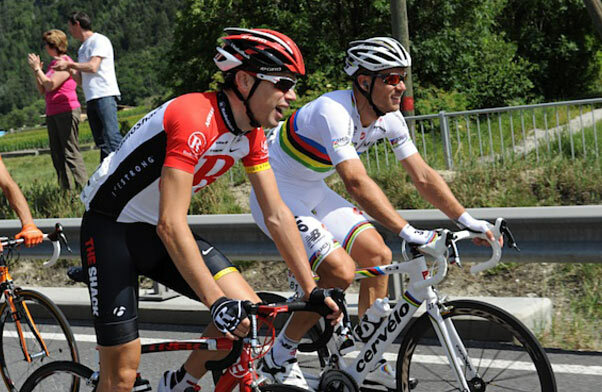 In the colours of RadioShack with then world champion Thor Hushovd in the Tour de Suisse in 2011. 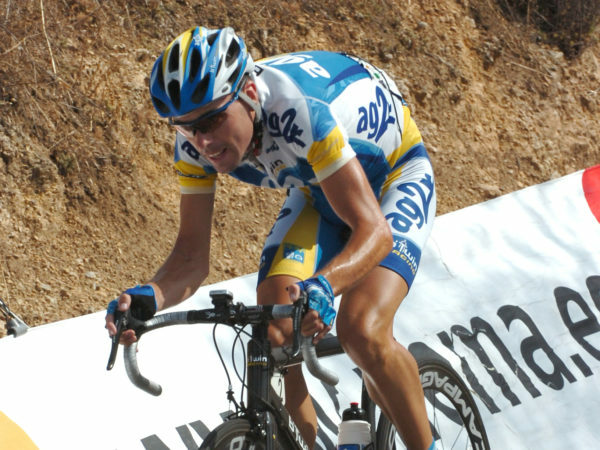 Deignan riding his first Grand Tour; the 2007 Vuelta a Espana. He was in the colours of AG2R Prévoyance. It was the team he started with as a pro, in 2005. He remained there for four seasons, the first two of which he was a team mate of Irish rider and former junior world champion Mark Scanlon. He added cycling had given him many things during his long period as a pro, all but two seasons at the highest level. “It gives you a great work ethic. You need to commit yourself so much to the lifestyle and to the training,” he said. “A huge, huge amount of sacrifice goes in, and I don’t think I’ll miss that part too much. 14 years is a good stint. “It’s given me so much. I’ve worked with and met some amazing people over the years and travelled to so many amazing places. “I’ve had some incredible experiences along the way. Like I said in my retirement statement, I feel very grateful to have been part of all that for so long. “I can definitely look back on a career with a lot of good memories and not too many regrets or things I would change. “And I’m very grateful I had the opportunity to do the sport that I love and get paid for it at the same time. 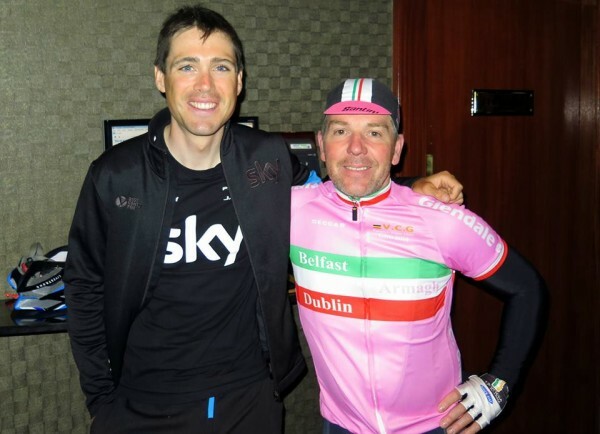 Mark of the man: Deignan during the Belfast start of the Giro in 2014 making time to meet Irish club riders and pictured here with VC Glendale’s Toby Watson. “I don’t under-estimate how much of a privilege that was. I didn’t win much as a pro you know – I only won three races. 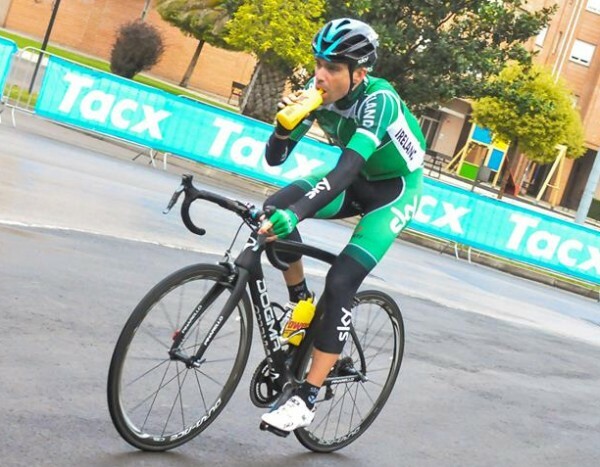 “But a standout would obviously have been winning a stage in the Vuelta and finishing top-10 there in 2009. “I’d had such a difficult season the year before. And I’d come very close to actually stopping the bike. “So to come through that, from a low to a massive high in the space of two years, made it even more special. “Obviously then moving to Sky quite late on in my career was also a highlight. I’d moved to UnitedHealthcare. “And in 2014 to get the opportunity to come back and ride for a team like Sky for five years was incredible. “I got to start a Grand Tour in my home country and I never dreamt that I’d get the opportunity to do that. “That’s another fond memory I have – those three days of racing in Ireland were very special as well. “It was a great five years with the team. I met some amazing people. People I’ll remain friends with even though we’re no longer teammates. “It was a privilege to have ridden alongside the riders I did,” he added speaking to teamsky.com.